August 17. 2012 | By Valerie C.
Fragrant World kicks off with the electro-pop filled delight of “Fingers Never Bleed.” Definitely one of the standout tracks on the album. Along with the synth heavy, easy on the ears approachability of the album’s previously released singles “Longevity” and “Henrietta.” The band seems to be channeling a bit of Hot Chip on “Blue Paper” and “Devil And The Dead” with their simple electro-funk beat topped with Chris Keating’s whimsical delivery. While some of the genre bending tracks on the album might still be easy to follow, like the electro ’80s flavor of “Regan’s Skeleton,” and the funk-filled electro-pop twist of “Damaged Goods,” others might prove to be a bit too avant-garde for the average listener. 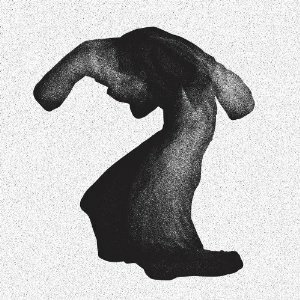 Constantly testing their boundaries by experimenting with and tweaking their sound, just like a rebellious teenager, Yeasayer set out to prove with every new release that they can’t be so easily labeled. They do need to be careful how far they push, however. In the case of Yeasayer, having someone else take on the task of production might help ground the band and steer them to a much more clear direction. After all, most petulant teenagers benefit from a bit of guidance, someone to reign in all that rebellious energy. And don’t forget to peep our recent chat with Anand from Yeasayer HERE.